Gorgeous Black Bridal Gown from WeddingDressFantasy. 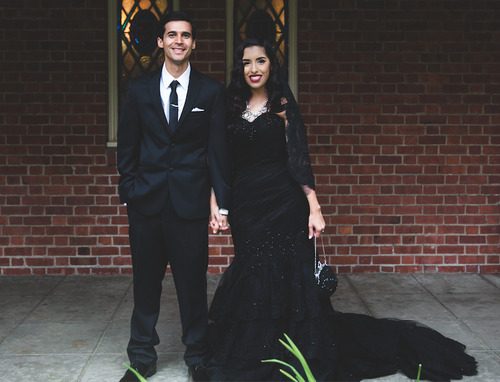 This incredible Black Wedding Dress is absolutely amazing. Designed with a sweetheart neckline, fully boned bodice and a Mermaid silhouette. Luxurious fabrics include tulle and French Lace. 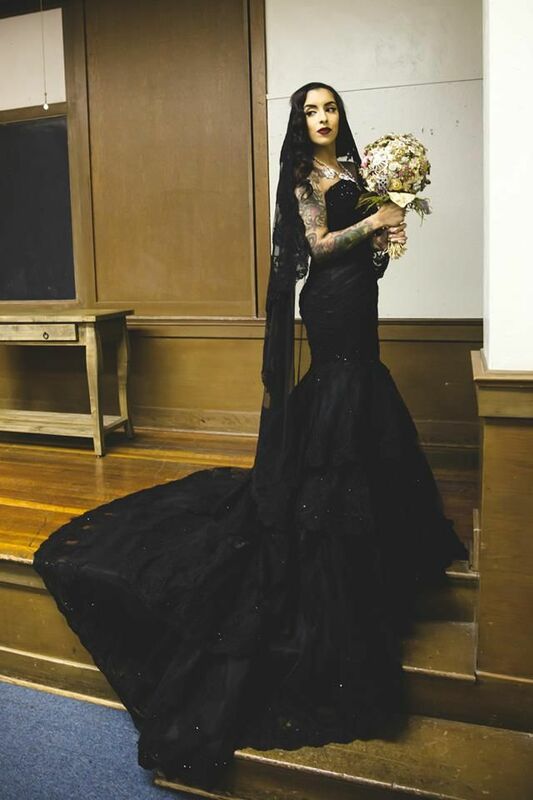 You will feel extraordinary in this stunning gown. Comes standard with a zipper back. Corset back closure as is $75 additional. Production time is 5-6 months, available sooner for an additional fee. Available in over 50 colors, or a combination of colors, and any size. It is also fully customizable. You can make it tea-length, have a zipper or corset back, with or without a train, even add a bolero jacket or shawl...and much more. 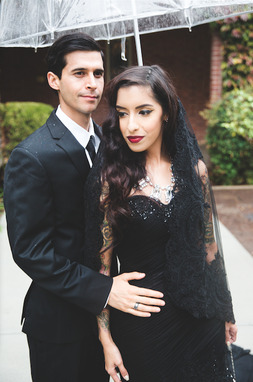 This black wedding dress is perfect for a Gothic or Halloween Themed Wedding.